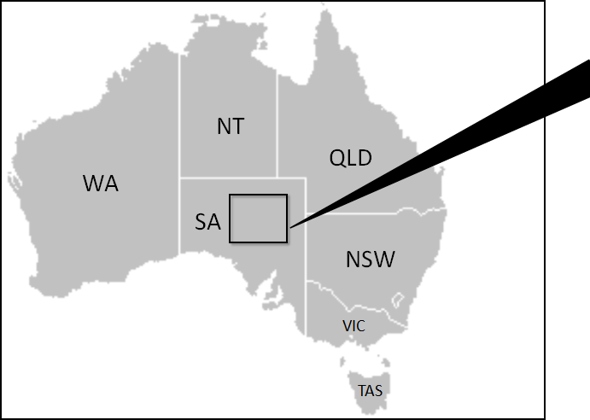 Where is William Creek Hotel? 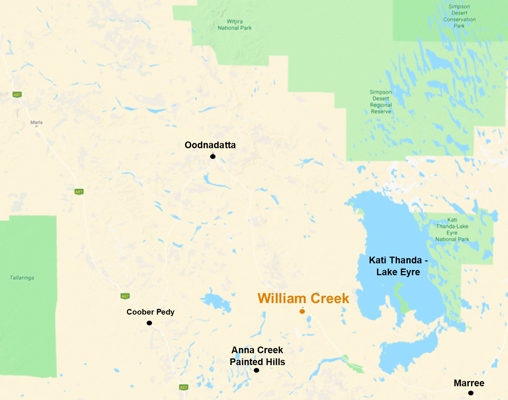 William Creek (population 10) is situated on the Oodnadatta Track by the Old Ghan Line in Outback South Australia. 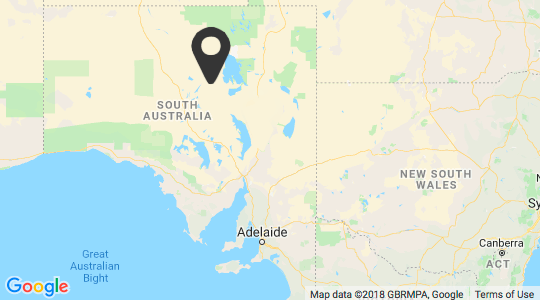 It is accessible by road from Coober Pedy or Marree, or via a Flight Transfer from Coober Pedy or Wilpena Pound in the Flinders Ranges. The Coober Pedy Oodnadatta One Day Mail Run services William Creek twice a week. The 4WD mail truck carries general freight and passengers. ** Please note: Timings and distances are approximate only and are dependent on vehicle, road and weather conditions. The times indicated on Google maps are inaccurate! Please refer to approximate driving times above.